Dow futures are the derivatives equivalent of the Dow Jones Industrial Average, the leading benchmark stock index for the U.S. equity markets. The Dow futures are one of the most commonly quoted financial instruments in the media and they tend to influence the stock market sentiment especially ahead of the market opening. You will often hear a lot about Dow futures especially before the U.S. markets open and this can lead one to wonder what Dow futures, are and how are they related to the Dow Jones Industrial Average. Before getting into the Dow futures, it is essential to have a quick recap of the Dow Jones Industrial Average and how it tracks the market. The Dow Jones Industrial Average (DJIA) is a U.S. stock market index that tracks the performance of 30 blue chip companies. The index was created by Wall Street Journal and Dow Jones & Company and the index was first launched on May 26, 1896. The Dow Jones is the second oldest stock market index in the U.S., only next to the Dow Jones Transportation Index which was also created by Dow. The DJIA got its name due to the fact that the index was historically tracking industrial companies. When the Dow Jones Industrial was launched, it started to track only 12 companies. Over the years, the Dow Jones Components have changed with the latest list of 30 companies have little bearing on the term industrial. The Dow Jones industrial average now comprises of a broad mix of sectors ranging from financial services stocks such as JP Morgan Chase to technology giant Apple Inc. among other constituents such as Visa, P&G and Walt Disney. Still, despite the broad mix of the Dow Jones industrial, the stock index is influenced by not just the corporate repots but also the domestic and international economic and political factors. The Dow Index is a price weighted average index meaning that stocks with a higher share price have a stronger influence that stocks with relatively lower share price. The Dow Jones is referred by many different names including the Dow 30, Wall Street 30, the industrial average and so on. 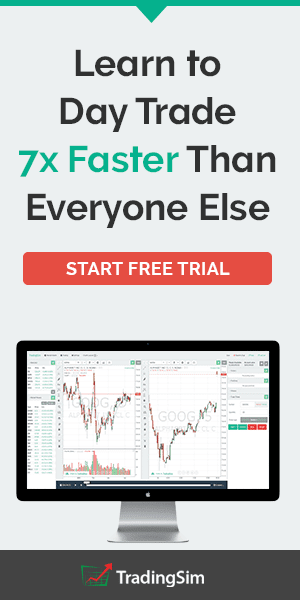 Today, the retail day trader can trade the Dow Jones Industrial Average in many different instruments ranging from CFD’s to ETF’s, options and of course futures contracts. Among these different ways one can invest or speculate on the Dow Jones, the Dow futures are the most popular and for a number of reasons, some of which are listed below. 5. Who trades Dow futures? The Dow futures contract prices tracks the price of the underlying asset which is the Dow Jones Industrial Average in the cash markets. The Dow futures prices are settled on a daily basis and are marked to market, meaning that the futures prices are settled daily based on the price of the underlying asset in the cash market. 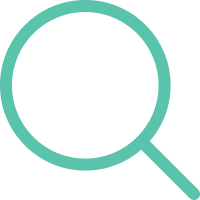 There are different types of Dow futures contracts that you can trade, commonly known as the big and the mini Dow futures. Traders flock to the futures contracts for a number of reasons, ranging from hedging the risks from the underlying market to purely speculative purposes. The Dow futures are volatile and depending on the type of contract you trade, traders can make significant money trading the Dow futures. One of the other big benefits of trading the Dow futures comes from the fact that the futures markets are open much longer than the U.S. stock market trading hours. Therefore Dow futures, among other futures contracts are some of the widely traded contracts, not just in the U.S. but overseas as well. In short, if you want to speculate on the Dow Jones Industrial Average, then trading the Dow Jones futures is the go-to market. 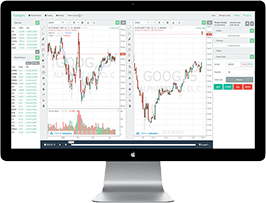 The Dow futures contracts are available in three forms, the standard, the DJIA and the big Dow futures which have a higher tick size and margin requirements and the e-mini Dow futures. Both these three types of Dow futures are cleared on the CME group futures exchange. The table below gives a comparison of the two Dow futures contracts. Among the three listed contracts, the E-mini Dow Futures (YM) is one of the most popular. Depending on the type of futures contract that is selected, the respective Dow futures have different initial margin and maintenance margin requirements. The futures contracts are traded on the CBOT exchange which acts as the principle. 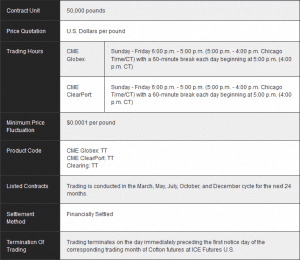 All the three types of Dow Futures contracts trade nearly round the clock with some small differences on the $10 Dow futures contract. The futures contract can be traded on any of the listed contract month which is quarterly. The Dow futures contracts can be settled for cash but in most cases, the broker that you trade with, will automatically liquidate your position on or before the last trading day of the contract. The Dow futures, as with most other futures contracts can be traded electronically via the CME Group’s Globex exchange. This allows for futures trading that is open nearly round the clock. The e-mini Dow futures are closed for only 15 minutes and trade from Monday through Friday. The Dow futures trading hours are obviously much longer than the U.S. stock market open which trades from 8.30 a.m. through 3.00 p.m. The Dow futures are attractive as market participants can trade on the after-market hour events such as earnings releases, which can give the futures traders some early positioning before the general stock market opens the next day. For example, the Dow Jones Industrial Average tracks a list of 30 companies. During the quarterly earnings report which are usually released before the market open or after the market close, the earnings report can have a significant impact on the Dow Jones Index. Traders can take advantage of the after hour earnings release from any of the Dow Jones listed companies and take a position in the futures markets such as the E-mini Dow Jones futures contracts. In most cases, depending on the market react to the news, the underlying index in the cash market will gap up or down and continue to move in that direction. As a result, the futures traders who placed bets on the market would have already gained significant profits on their futures traders if they were right. Besides earnings, the nearly 24 hour futures markets mean that the Dow Jones futures is also susceptible to foreign and even domestic political and economic factors. Some of the most recent examples can be the Brexit event in June 2016. The Brexit result was announced sometime after 2 a.m. Eastern Time, way past the official trading hours. However, Dow futures traders would have been able to easily trade the Dow futures contracts closer to the referendum release. The fact that the markets are open nearly round the clock also makes the Dow futures are one of the go-to markets for international traders and investors. Among the three types of Dow futures, the e-mini futures attract the most of the trading activity. Do not be mistaken by the fact that the $5 Dow contract is only for retail traders. The YM Dow futures contracts are widely traded even among institutional traders. The amount of interest in the Dow futures is perhaps well represented by the average daily trading volume. 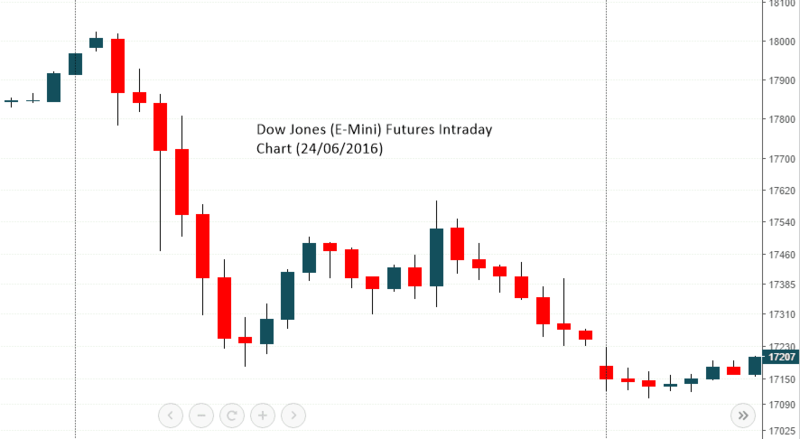 The above chart shows the daily exchange volume on the E-mini Dow futures chart. The table shows that the Dow futures has an average daily trading volume or above 100,000 contracts on any given day. 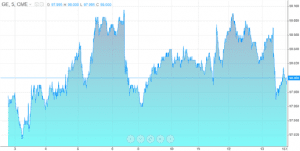 This indicates that the YM Dow futures attract a significant amount of trader interest. For the retail day trader, this deep liquidity means that intraday trading can be an effective way to trade a few points on the Dow futures charts. However bear in mind that the e-mini futures contracts are also hot beds for algorithmic traders meaning that the Dow futures are susceptible to flash crashes which can be caused due to an algo trade. There are well documented cases in the past about such instances and therefore Dow futures traders need to be aware of these risks which often come unannounced. The Dow futures contracts are made up of a wide range of market participants, from hedge fund traders to large institutional traders, the emini Dow futures are one of the most popular. The Dow futures contracts are largely traded by investors who have exposure to the underlying asset in the cash markets or its equivalent such as the Dow exchange traded funds (ex: IYY, iShares Dow Jones Industrial Average or the DJA, SPDR Dow Jones Industrial Average). Besides being used as a hedging tool for risk, the Dow futures are also popular among speculators who do not have any underlying exposure to the asset but are there simply to take advantage of the volatility in the markets. The Dow futures, among other equity indexes such as S&P500 and the Nasdaq100 are one of the popular emini futures contracts in the retail day trading community. This is because of the fact that the tick sizes in the Dow mini futures contracts are reasonable and the fact that the day trading margin are usually less than or around $500 makes it easy for retail traders to trade with small trading capital. The Dow futures gain importance in the initial 30 minutes before the market open as the futures prices are considered to be a bell weather of how the cash market will perform on the day. Often referred to as the pre-market prices, these are nothing but the stock index futures prices calculated prior to the start of the trading day. 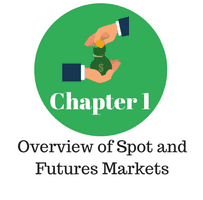 The futures and the cash markets trade separately but the price of the cash market index relative to the value of the futures index can give strong hints on how the markets will be behave during the day or at the very least in the initial hour of trading. Futures traders will also notice that volume is significantly increased once the cash markets open. Therefore, from 8.30 a.m. through 3 p.m. the volume in the futures markets (including Dow futures) significantly increases. 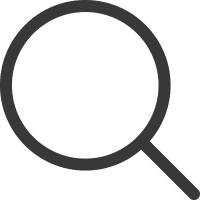 This is one of the reasons why that you will find quite a few technical futures trading strategies that specifically focus during the first hour of trading of the cash markets. The increase in volume often leads to gaps in the futures markets prices as well. The Dow futures are listed in quarterly contract months from March. This means that you can trade the March, June, September and December contracts. In most cases the forward month contracts attract the highest volume of trading and as the days progresses, the next quarterly contract starts to trade with volumes increasing as well. The table above shows the high level of activity on the forward month contracts (March 2017) which has an estimated volume of 109,273 on the day with the previous day’s open interest at 132,632. In contrast, the next contract month, June 2017 has an estimated volume of just 133 with previous day’s open interest at 555.